I know, I know, you all thought I was much classier than to belch after my Thanksgiving meal but it takes quite a bit of sophistication to burp in six languages. Ha! If I have mis-conjugated the verb in your language…I am so sorry….when it comes to my 2nd, 3rd, 4th, 5th and 6th language skills, I fall into the category of, “jack of all trades, master of none”. But I tried! So please help me out here with the “correct” translations of belch! Or tell me what belch is in your native tongue. I’d love to know. 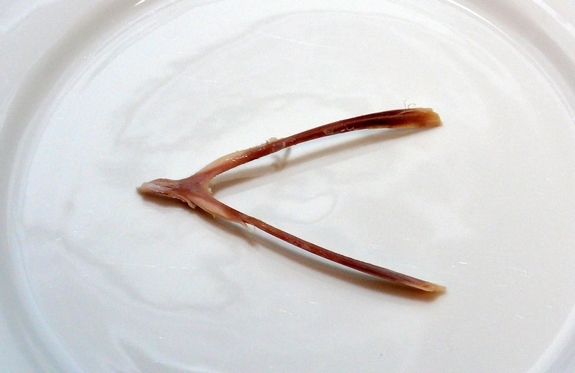 Happy leftover eating…if you have any! Glad you had a great Thanksgiving! Rebelchaburpitate! in Robin Sue language that is! Can’t help you with the language translations. But it all sounds the same, no matter what language!! ha ha! Love your humour Cath. I love that came here and learned about burping in other languages! I feel so cultured now! That’s my kids way of saying great meal yesterday. In some countries, burping is a compliment! That’s what my kids say. You’re pictures and sum it all up! You definitely keep it real! Love it! Oh there are leftovers–we’re counting the minutes until we break them out!! Swear to you…I ate so much last night it was sick. I didn’t think I was going to eat breakfast this morning! I swear, I am still full today after all that eating 🙂 Happy T-Giving! I don’t know other burps, but I can say excuse me! I hope you had a great day. 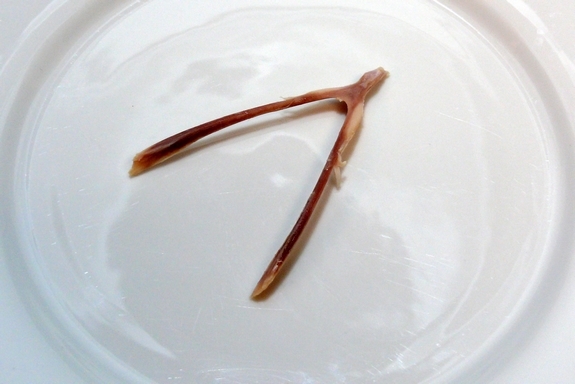 I just realized that my husband threw away the wish bone. I could use that this year! Wishing you a wonderful disgesting weekend! You crack me up Cathy. I just had a big plate of leftovers for breakfast! Burp. You made me giggle, but only in one language! 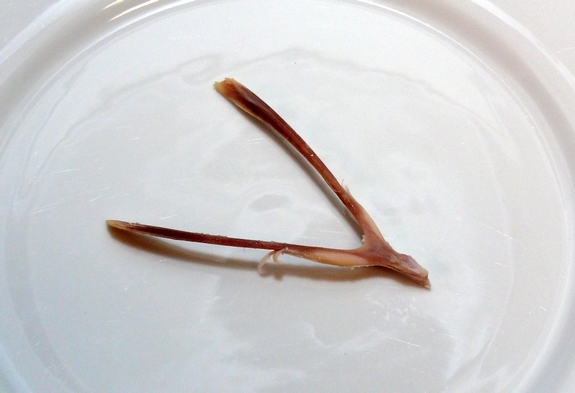 If well-cleaned bones are a sure sign of a tasy bird, yours must have been delicious! 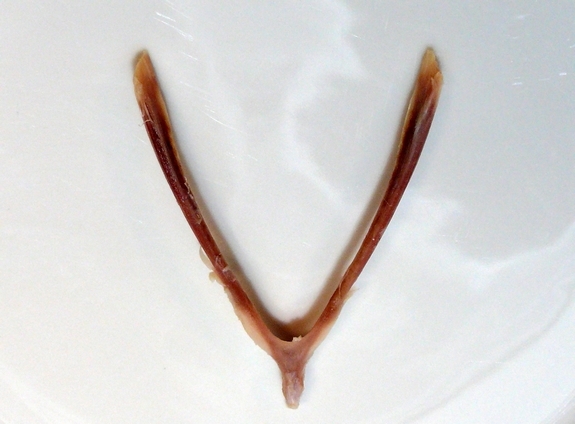 Did you split the wishbone? Hilarious! But Happy Thanksgiving to you and yours!!! that was awesome! Happy Thanksgiving. Damn, that reminds me. 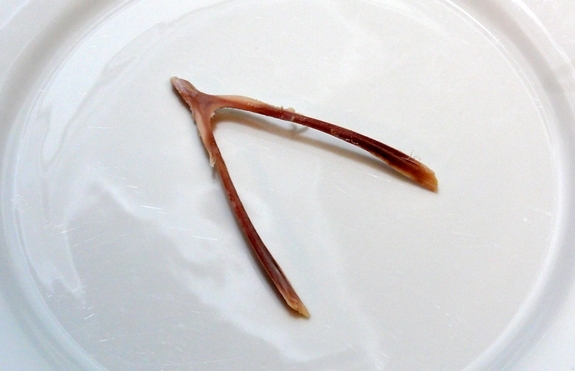 I wonder if my husband rescued the wish bone. 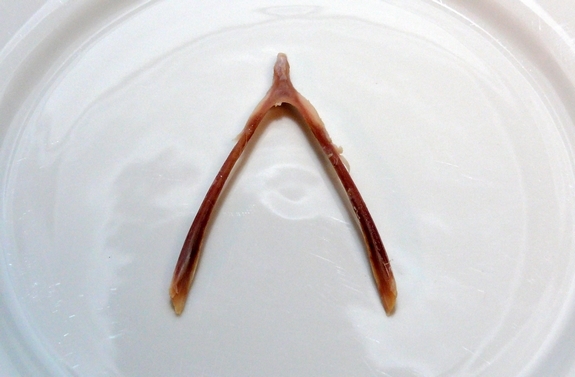 We’ve been in our house since 2004, and this would be the fifth wishbone. I hope he saved it. no leftovers here…inlaws NEVER share when we celebrate at their place. still it was a wonderfully blessed and thankful day with them…biggest drama was over daughter and niece encouraging the chickens to hang out on grandmom’s porch. i have to say i love your family portrait (minus the Wild Boar) in the last post. gorgeous fam! you are so blessed. Best after Thanksgiving post. You are very Continental! Very classy! Happy thanksgiving! It’s been a day but I’m still in a semi-food coma. You are such a hoot!! You’re always making me smile. This is amazing! I wasn’t able to stuff myself to the extreme due to my cold, so no I wasn’t super belchy. But my pregnant sister-in-law was sounding off like CRAZY. Ha ha! mental mama seriously burped reading this. Fun post and the comments are hilarious as well.